Mark this date on your calendar. This may be the one and only time you'll see two Renault R16s for sale in the US at the same time. Yes, there are 2 of them on eBay right now. I wrote about the first one back in April. It hasn't sold yet. You can find the post here. This one turned up on eBay a few days ago and is pretty interesting. This is not a US spec car. The car was imported into the US in 2003 by the seller. 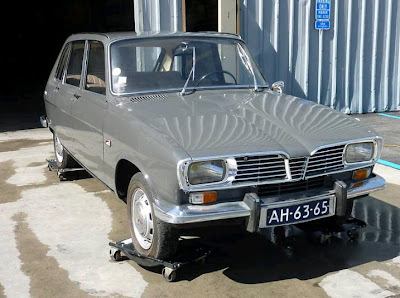 The seller writes "I love French Cars, I collect them, but I'm a klutz when it comes to fixing them. I took this car out one day on a small drive and one of the relays under the hood starting smoking. It burned up some wires and that was it." Yeah, so? To those of us who are British car veterans this is a near everyday occurrence. The idea of rewiring an old Renault may not sound all the appealing, but before dismissing this car, take a look at it. Except for the burnt wiring, this is an incredibly nice old R16. With just over 31,000 miles on it, the body and interior appear to be close to perfect. The Euro-spec cars differed slightly from the US spec cars. The most notable difference is the headlights. In the US we were stuck with round sealed beams. This has the superior European headlights. The R16 is a really interesting car. It was the first 4 door hatchback. The engine was behind the transaxle, which gave it better weight distribution and very good handling. (Lotus used the R16 engine and transaxle in the mid-engined Europa. Colin Chapman inverted the gearbox's crown wheel and its pinion gear to avoid having four reverse gears. He also managed to get 82 HP out of the engine as opposed to the 59 HP it put out in standard Renault trim. Did you know that the original Europa body concept was created by the same man who invented the Black and Decker Workmate? I didn't, until I stumbled on that little bit of trivia while looking up the horsepower numbers. But I digress...) As with all Renaults (for that matter, all French cars), it had an incredibly smooth ride to go with its fine handling. To North American eyes the R16 was quirky looking. 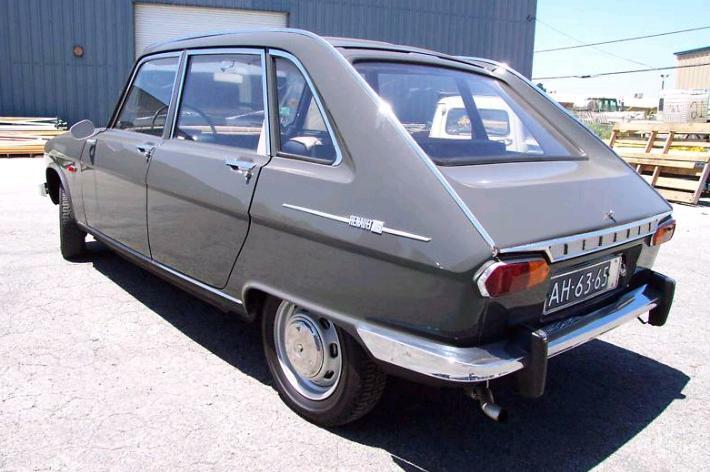 Renault didn't have a great reputation in the US and, at least back in the 1960s, Renault dealers were few and far between. For all those reasons the car didn't sell well here. Worldwide however, Renault sold close to 2,000,000 of them. Parts are very tough to find in the US (the Euro-only parts are probably impossible to find here), but fairly easy to source from Europe. The seller writes, "It's fate should not be the scrap yard." I couldn't agree more. Located in Monterey, CA, click here to see the eBay listing. For more info on the R16, check out the Renault 16 Site. 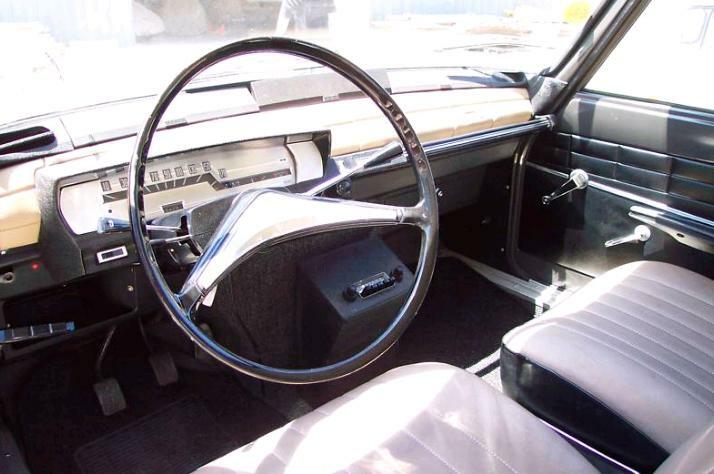 Love that interior, nothing else quite like it. The gentleman selling the car also appears to have several other cars, including a 405 Mi16, CX, Simca and a lovely W12 Audi A8....who doesn't want to be that guy!